Pre-order the 38,867th best-selling book in the UK RIGHT NOW! 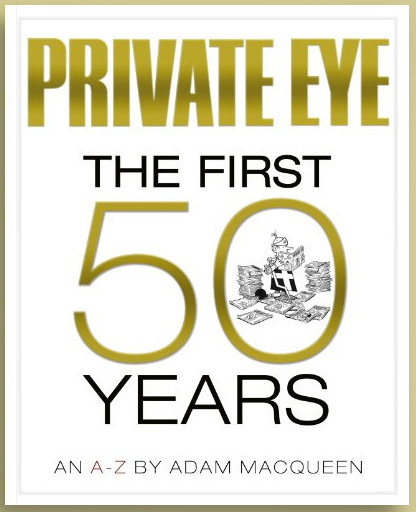 Private Eye: The First 50 Years, an A-Z will be in all good bookshops on 20th September, and bad ones a few days afterwards. But you can pre-order your copy – and immediately render the title of this post out-of-date – at a special offer price from Amazon right now. 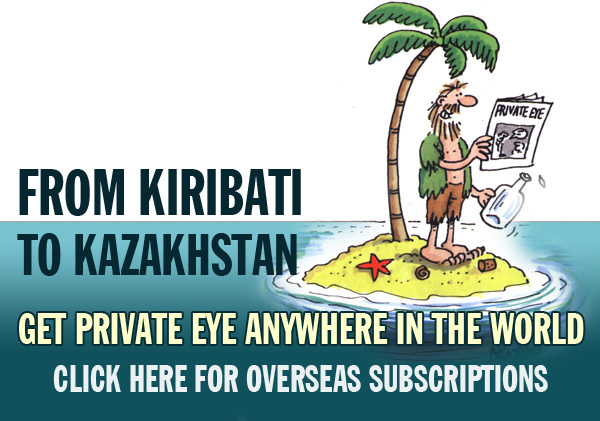 PRIVATE EYE is Britain’s first, most successful and indeed only fortnightly satirical magazine. 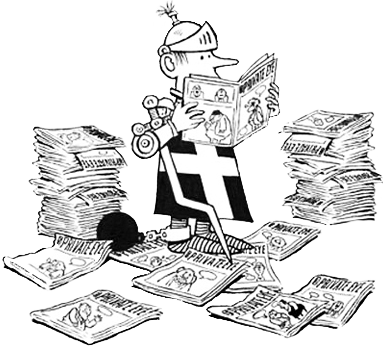 Founded in 1961, it has somehow managed to survive for half a century during which it has consistently entertained, informed and irritated its readers. With a wealth of never-before-seen photos, unpublished cartoons, archive material and exclusive interviews with contributors past and present, this is insider Adam Macqueen’s view of a unique institution. Yes, Britain’s funniest, foremost, fortnightly (You’re Fired – Ed). Maybe the rest of the Eyelets can likewise declare their orders from Amazon or elsewhere or their intention to buy, here, in public solidarity with the Eye on its fiftieth anniversary. Pity about the index – that is, lack thereof; the second edition, perhaps? Any chance of us finding out, one way or another, what had to be left out for legal (and other) reasons? Who’s going to review PEAF for “Literary Review”? Now PEAF is published, can we have the fully active website, please? (50 = 1961-2011 *2011*, *2011*, *2011* [contd p94]). Nothing at all was taken out for legal reasons. 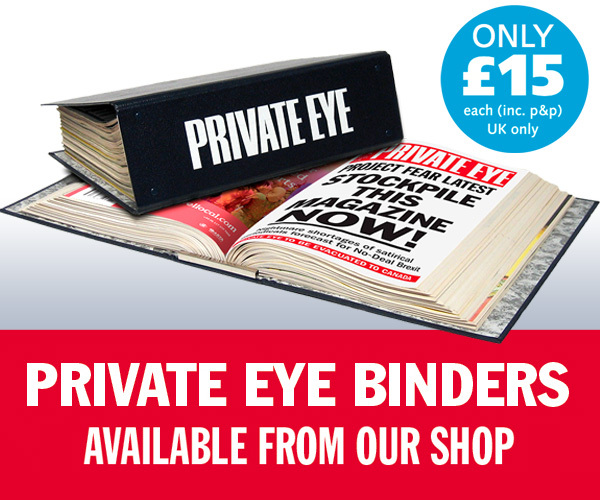 We did, however, lose a co-publisher part way through because they weren’t willing to take the libel risk, which is why it’s now being published by Private Eye Productions alone! I will be popping down to my local Bookseller to reserve my copy. Can’t wait to read it. Roll on September 20th! Does this mean that names will be named regarding “Talking about Uganda”, for example? – East Africa is waiting with baited breath for those revelations so can they be denied the truth after thirty-eight years? Order placed, looking forward to a cracking good read. Well done one and all!